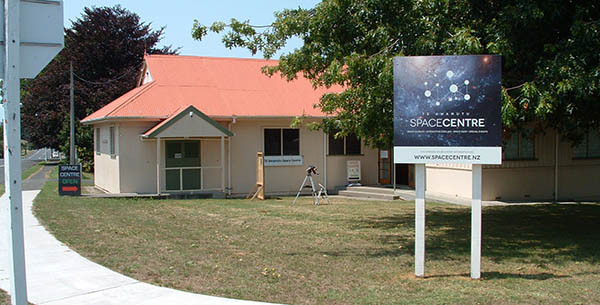 The Te Awamutu Space Centre is a small facility run by Dave Owen ("Space Dave"). The main room can accommodate up to 60 people. Wall displays with information and photos of space flight, our solar system and the Universe. Space collectibles (stamps, cards, patches, etc). The room also includes seating and a video projector for live presentations. 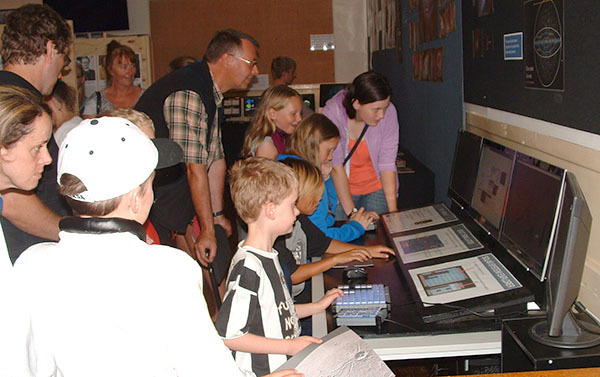 Dave Owen is available to give talks and audio/visual presentations on various space-related topics. A talk typically last 45 minutes although Dave is happy to talk for longer (sometimes it's actually hard to shut him up). Questions and discussions are encouraged. Public talks are recommended for anyone over 8 years old, and each session will be tailored as much as possible to the prevailing age group. If you would like a session for younger children or any specific age group, please contact us to arrange a private session. Dave is also a member of the Hamilton Astronomical Society (HAS) and helps out with their public nights. If you like space, you'll love the Hamilton Observatory (next to the Zoo). See the society's website for details of upcoming events.